Richard Branson is back in the news this week: After unveiling a deep-sea exploration vehicle earlier this month, he has announced plans to import lemurs to his Caribbean islands. (Yes, that's "islands" plural. He's quite wealthy, you know.) "Lemurs are found only on the African island of Madagascar and many species are threatened, largely because of deforestation," reports the BBC, "The threat has grown worse since the toppling of President Marc Ravalomanana's government two years ago, which allowed illegal logging to flourish. 'We've been helping to try and preserve lemurs, and sadly in Madagascar because of the government being overthrown the space for lemurs is getting less and less,' Sir Richard told BBC News from his Caribbean property." Because lemurs are only found in the wild on Madagascar, their evolutionary history is particularly fascinating to scientists, but for some time relatively little detailed information was known about the exact genetic relationships. In 2008, however, scientists from Duke University and the German Primate Center published one of the largest analyses of genetic data from the suborder strepsirrhini, one of two primate suborders, which include lemurs, lorises, and a few other similar animals. (Humans are members of the other suborder, suborder haplorrhini. The two names mean "curly nose" and "simple nose," respectively.) The authors copied and sequenced genetic data from 18 loci, or locations, in the nuclear cell chromosome, including 11 new loci, to determine the lemurs' evolutionary tree. 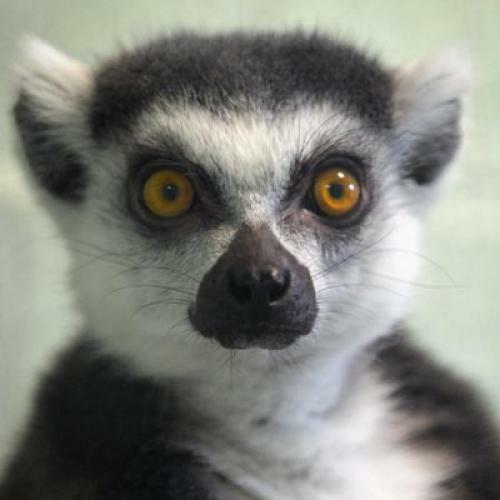 They concluded that lemurs did not arrive in Madagascar until fifty to eight million years ago. "Given that the time of lemuriform divergence clearly postdates the separation of Madagascar from other landmasses by many millions of years, it seems clear that lemurs arrived via oceanic dispersal." Shortly afterwards, the Daubentoniidae family, better known as the "aye-aye," split off from the other four families, but the other four families only began to diversify within the last sixteen million years, which is a chronological pittance in the history of evolution. Click on the chart below to see the full tree. The study did not, however, answer why lemurs are so darn cute.